This is a "cheating" recipe. You are cheating because of the canned soup, but it is a quick and easy soup and it tastes great. I have my sister-in-law Donna to thank for this one. It is a holiday favorite. You can use heavy cream in the place of the half and half if you want a thicker soup. This is a great soup for the crock pot, low setting for a few hours. The cream of “whatever” soup is your choice. I have made this with lots of different varieties. 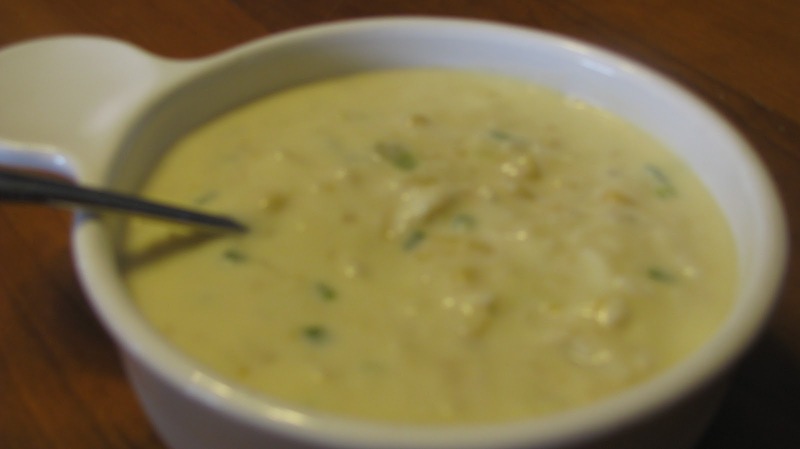 Cream of potato is nice, and then it acts more like chowder.